Dr. Lattermann has recently been appointed to the Brigham and Women’s Hospital at Harvard Medical School where he will be the Chief of Sports Medicine and Director of the Cartilage Repair Center. Until 2018 he was Professor and Vice Chair for Orthopaedic Surgery and Research at the University of Kentucky (UK).He is the founder and director of the Center for Cartilage Repair and Restoration at UK. Dr. Lattermann began his training at Hannover Medical School in Germany. In 1997 he did a research and clinical fellowship in Sports Medicine at the University of Pittsburgh, USA, where he continued his career as resident in Orthopaedic Surgery. He continue on to complete a fellowship in Sports Medicine and Cartilage Repair at Rush University. Dr Lattermann started his independent career in 2006 at the University of Kentucky and has built a strong clinical research program. He is an expert in cartilage repair, outcomes research and clinical trials. His recent appointment to the Brigham and Women’s Hospital allows him to continue his research work in the field of clinical trials in early OA and cartilage repair and will continue the tradition of the Boston Cartilage Repair Center, built by Dr. Tom Minas and Dr. Andreas Gomoll. Dr. Lattermann has published over 100 peer-reviewed papers, over 25 book chapters and his research has been funded by national and federal institutions such as the National Institute of Health, Arthritis Foundation of America, NFL charities, Arthroscopy Association of North America (AANA) and the Physical Therapy Association of America(PTAA). Dr. Lattermann is active in national organisations in the US, and Germany where he is the current chair of the Research committee of the German-speaking Arthroscopy Society (AGA). 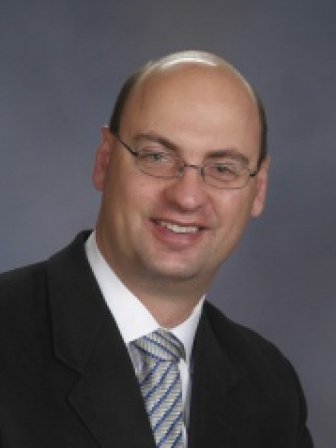 Dr. Lattermann has been an active member of the ICRS finance committee and is a recent chair of that committee. He currently functions as program co-chair for the World Congress in Macau in 2018 and has most recently been elected by the ICRS membership as Treasurer of the Executive Board of the ICRS in 2018/2019.